"I really like style and I like to wear different things from vintage things to new things. I like to put things together." Valentina hails from Italy and she's got the baroque to prove it (well, the belt, sort of). I like how this version of animal print, in the subdued print of her skirt, is on-trend, but doesn't dominate the outfit. 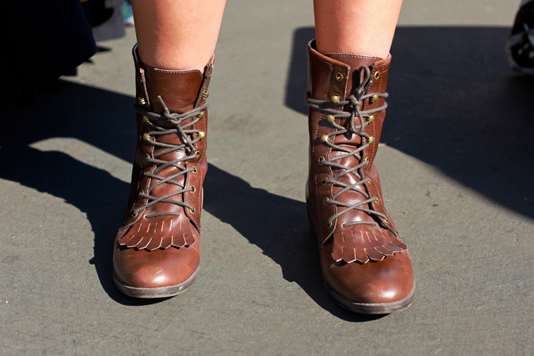 A look at her brown leather boots. it's amazing how people in la can really work the tank tops, i always feel so naked in them!